Dominated by such giants as eBay, Amazon, and Walmart, online retail is an extremely competitive market. Yet, the industry remains popular among startups willing to disrupt the long-established leadership. How do you find your place in such a competitive market? How do you build an eCommerce product that really stands out? How do you attract and retain users? Most importantly, how do you generate profit? If you are planning to enter the eCommerce market, here is a success story that will inspire you (and some useful lessons you can learn from it). Eastern Peak posesses hands-on expertise in building on demand apps and online marketplace development. See our Marketplace portfolio and recent case studies. Encompassing roughly 167 million active buyers and generating an annual net revenue of $8.99 billion, eBay has been among the world’s most popular online marketplaces for years (according to Statista). The company revolutionized the way we buy and sell goods, introducing the groundbreaking concept of online auctions. However, the feature that was initially one of the core competitive advantages is currently used by less than 15% of its platform users. The company has been promoting the traditional marketplace model since 2008, introducing the changes to their search ranking algorithm. This pivot resulted in a huge drop in auction-type listings as more people opted for set-priced offers as a less risky option. While the online auctions market niche lost its major player, there was still a huge audience to cater to. One of the startups set to replace eBay in this sphere was Tophatter. Founded in 2012, the company remained unnoticed until recently, when it scored $21 million in funding from 4 investors, including Goodwater Capital. However, what makes this eCommerce startup stand out is the fact that it is profitable. While other companies struggle to reduce the startup burn rate, Tophatter expects to make $100 million in revenue this year, having scored nearly $40 million in 2016. A number of tech giants like Uber, Twitter, or Square are worth billions of dollars but still remain unprofitable. So, how did a startup that you probably never even heard of manage to acquire over $20 million in funding and remain profitable? 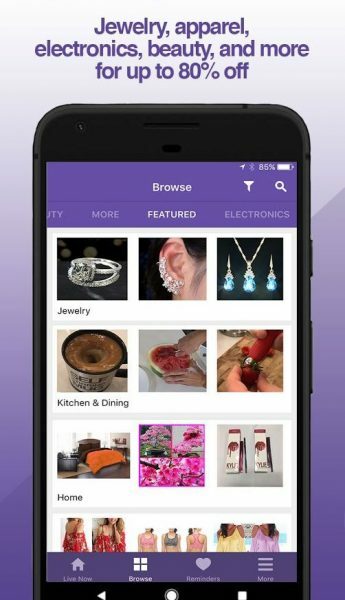 Niche audience – the platform targets millennials, offering goods in several categories (jewelry, apparel, accessories, beauty, and electronics). 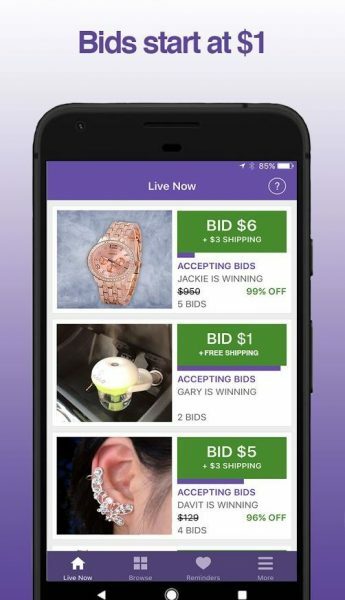 Flash auctions – every auction has a time limit of 90 seconds, which also caters to millennials with small attention spans while promoting competition among the sellers. 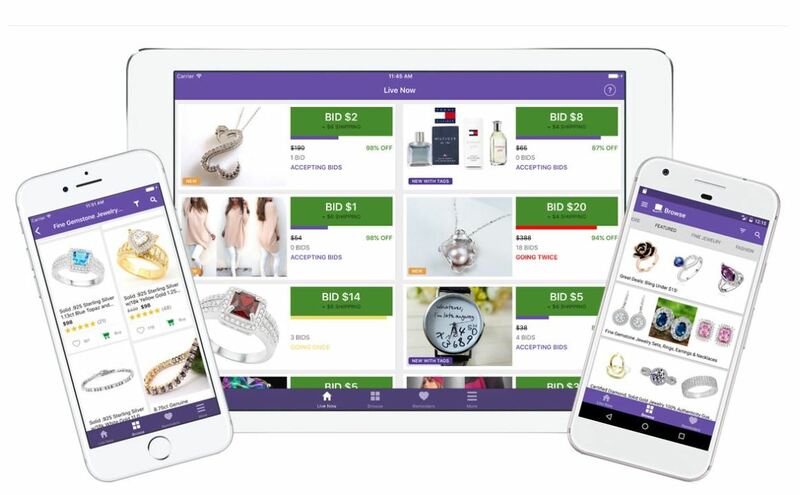 Advanced personalization – the platform uses smart algorithms and machine learning tocustomize the user experience while providing more relevant offers. Mobile-first strategy – even though there is a website, the startup focuses primarily on its mobile app. 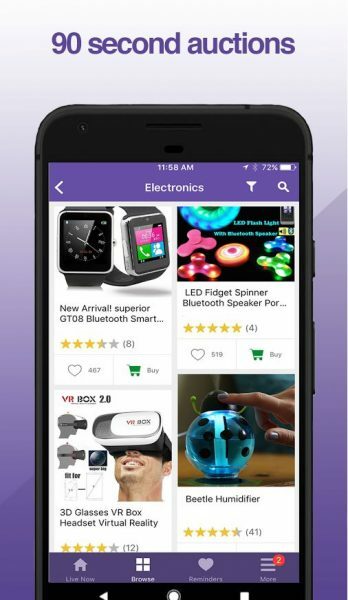 Exceptional user experience – the app has a number of unique UI interactions (the auction rooms and bidding process) which makes the app easy and fun to use. Similar to Tophatter, every startup has a chance to win its market share. One of the main issues that eCommerce startups are eventually faced with is the problem of user acquisition. In this regard, it is crucial to create a unique value proposition that will drive user acquisition and retention. Yet, having an exceptional product might not be enough. So, here is our roundup of the must-have elements of a successful business strategy and the proven ways to acquire users for an eCommerce startup. 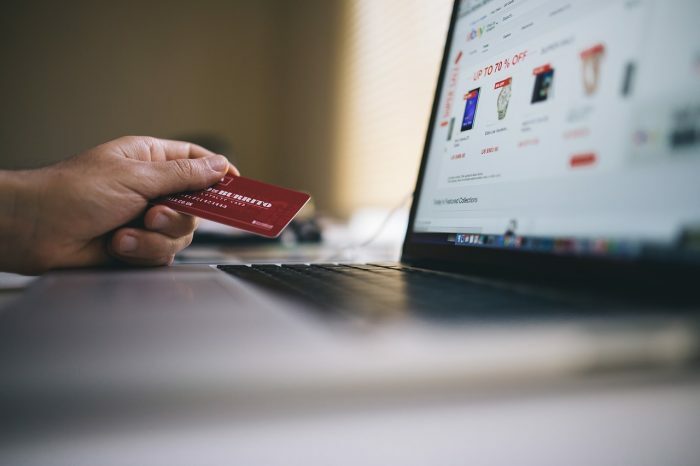 Using significantly cheaper out-of-the-box eCommerce solutions might seem like a good idea until you want to do something extra on top of the provided functionality. In this case, customization efforts might equal or even exceed the development of a custom solution. The latter, in its turn, offers limitless capabilities for scaling your product both up and down. Quality assurance and performance optimization are no longer nice-to-have practices. They are a must, especially if you are building a high load eCommerce platform. Back in 2013, when Amazon suddenly went down for about 30 minutes, the company was losing reportedly $66,240 per minute. Even if your traffic is not even close to Amazon, the damage from an outage can be significant. By creating an optimized user flow and intuitive navigation, you increase your chances for success. Even minor improvements in the website’s UX can lead to a better ROI. Consider the “$3 million button” case: by simply replacing the text on a button, the company was able to grow their sales by 45%. This decision led to $15 million in revenue in the first month, and $300 million in the first year. Customer data and analytics allow you to gain actionable insight into your users and the product itself. Thus, you can change your product accordingly and better serve your users. Other than that, there are several ways to put your customer’s data to good use, including flexible pricing, a personalized user experience, prediction of highly demanded trends, and a more efficient way to map the user’s experience. Even if you are building an online marketplace, you need to optimize it for mobile users. With the mCommerce revenue expecting to reach $284 billion by 2020, making up 45% of the total U.S. eCommerce market, mobile devices will be increasingly important for retailers. 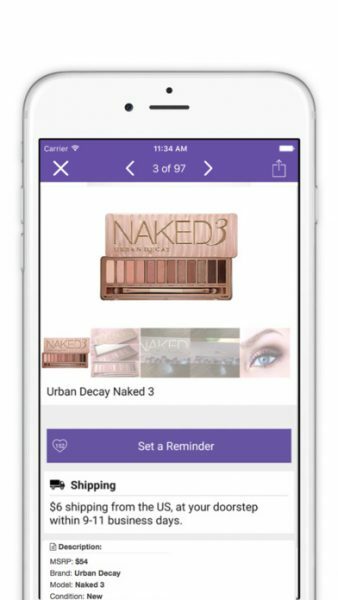 Moreover, chatbots and personal shopper assistant apps provide more ways to engage your users on their mobile devices. Similar to Tophatter, choosing a niche audience might be the key to success. Be it a certain age group, specific country or region, type of goods, or business model (auctions or set price, offers, barters, etc. ), targeting a specific audience is much easier than trying to be everything for everyone. While building a complete eBay or Amazon clone is an extremely time-consuming and costly venture, it’s also irrational. Why would anyone use your product if there are already tried and true platforms that are exactly the same if not better? Tophatter bets on flash auctions. Your idea should be unique, focused and simple, from free shipping, drone delivery, crowd buying, or barter deals. From the moment a user lands on your website or installs your app, the customer’s success should be your main goal. In case your users have any questions or need assistance, you should always be there for them, providing support via all possible channels such as phone, online chat, email, social media, or even messaging platforms. Customer service is so important that research shows that as much as 86% of customers who had a bad experience with a particular company choose to no longer do business with them. On average, it costs a business 5 times more to acquire a new customer than it does to retain an existing one. One of the ways to improve your retention rate and build customer loyalty is through subscriptions or premium features. By offering some extra value to your loyal customers, you will be able to build a strong user base. It is also a proven monetization strategy. The chances that someone will simply come across your app on the app store or find your website online and then be converted into a loyal user are quite small (even with SEO and app store optimization). Thus, you need to reach out to your target audience using all possible marketing channels. The proven ways to build your community include social media, influencer marketing, and content marketing. With global eCommerce revenues expecting to surpass $4 trillion by 2020, online retail is still one of the most attractive markets for a startup. Tophatter is only one of many ambitious startups, representing the new eCommerce wave. Despite fierce competition, we will see more startups entering the scene as the market continues to grow in the near future. If you want to enter the eCommerce market but don’t know where to start, get in touch with our sales team. You will receive personal consultation on how to build an online marketplace from scratch, as well as valuable business advice from our team. How to create an MVP for online marketplace?